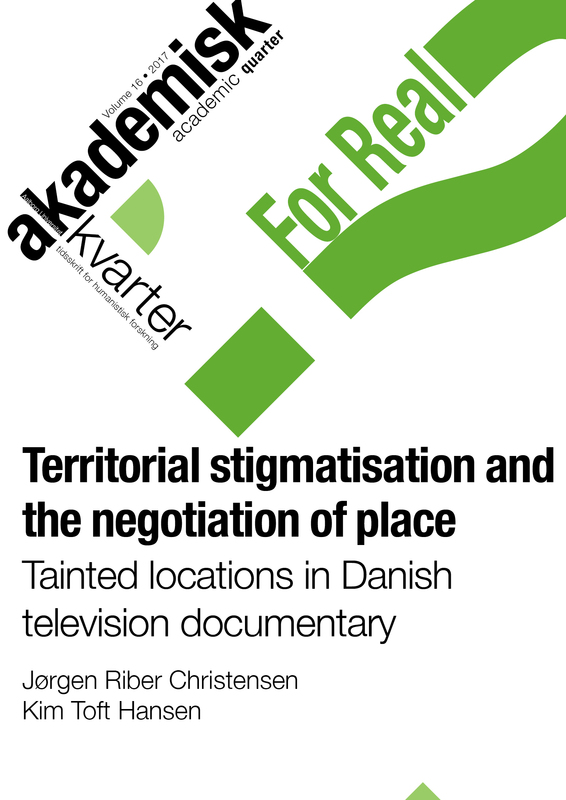 The article addresses the negotiated meaning of notorious places through a consideration of a recent tendency in Danish TV documentaries where marginalized, often peripheral, places are portrayed and debated. Based partly on sociological research about territorial stigmatisation, partly on location studies as a method, the article stresses that inhabitants often contest and contradict the mediated stigmatization of their towns from an ambivalent position. On the one hand, participants in the programs are aware of the stigmatizing gaze of others, but on the other they also express a degree of local pride. The ambivalence of place meaning established through TV representation and the participants’ attitude towards their ‘real’ places reflect a mediated doubling of place, where the inhabitants are in “the event-as-broadcast” and in “the event in-situ” simultaneously. As a result, such ‘tainted locations’ may be contested directly from within documentary representation. Jørgen Riber Christensen is Associate Professor at the Institute of Communication, Aalborg University. His research, books and articles focus on cultural analysis and theory, the media and the new media, marketing, film and television production, viral communication, museology and literature. Editor of Academic Quarter. Kim Toft Hansen is Associate Professor at Aalborg University, Denmark. His research has focused on Scandinavian film and television as well as media production studies with special attention towards relationships between local and global media. Recent publications include Locating Nordic Noir and a range of articles on television locations.